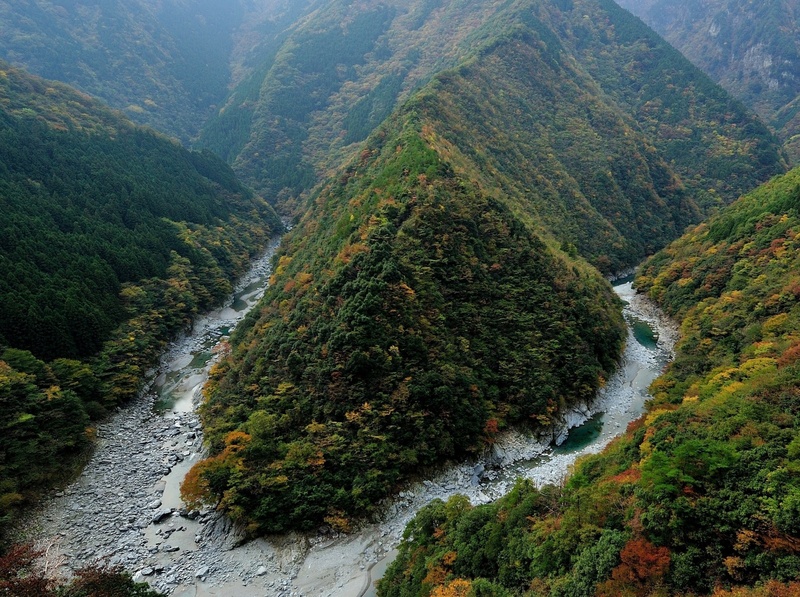 A dizzying succession of sheer cliffs line a steep gorge carved out of the mountains by the Iya River. This majestic and beautiful valley stretches out for 20 kilometers and cliffs at the height of several dozen to hundreds of meters will be covered by fresh vegetation in spring and beautiful foliage in autumn. When looking down the winding emerald green river from the cliff top, you may feel dizzy as it looks far below, but offers you the beautiful view of river curves along its rim. As a symbol of innocent courage, a statue of a peeing boy stands at the edge of 200m precipice, where is noted as the most dangerous spot in the Iya Valley. In the old days, the local children and travelers stood up here and urinated to show their bravado.